Access to the Father. The believer’s access to the Father is associated with both the Son and the Spirit (John 14:6; Eph 2:16, 18). Indwelling. Father, Son, and Holy Spirit all live within believers (John 14:16–20, 23; 15:5; Rom 8:9–11; 2 Cor 13:5; Col 1:27; Gal 2:20; 1 Cor 3:16; 6:19). Intercession. The Son intercedes on the believer’s behalf with the Father (Heb 7:25; Rom 8:34), but so also does the Holy Spirit (Rom 8:26–27). 1 Thess 4:8; 1 Tim 6:13; Jas 1:5, 17; 1 Pet 5:5), but so also are the Son and the Spirit (John 5:21; 6:33, 63; 14:27; 1 Cor 12:11; 2 Cor. 3:6). In this selection of texts, it is especially noteworthy that each Person of the Trinity is said to give life. Love. God’s love for his own is attributed to both the Father and the Son (John 3:16; 15:9–12; Rom 8:35– 39). Judgment. At the consummation of this world, the Son exercises supreme authority as judge (Matt 25:31– 46; 2 Cor 5:10), but the judgment seat is also the judgment seat of God the Father (Rom 14:10). Prayer. Most often in Scripture, prayer is offered to the Father, but not exclusively so. Believers also offer prayers to the Son (Acts 7:59–60; 2 Cor 12:9–10; Rev 22:20). When we discuss the Trinity, we must acknowledge that our words are halting attempts to describe in finite human language the mystery of the Being of the infinite and eternal God. But one thing seems crystal clear— the written Word and the living Word bear witness that there is a unity of the Persons of the Trinity such that the actions and attributes of one Person of the Trinity are not the actions or attributes of that Person exclusively, but are by their very nature the actions and attributes of God himself, and therefore in some sense the actions and attributes of each Person of the Trinity. This is the most fitting way to give full weight to those texts that speak of the unity and equality of the Persons (John 5:17–19; 10:30; 14:7–11, 23; 17:20–23; compare Matt 28:20 with John 16:7). While affirming the unity of the Persons, we must also affirm the Trinity of the Persons testified to in the baptismal formula (Matt 28:19). In seeking to bear witness to their belief that the God revealed in Scripture and in Jesus Christ is one and three at the same time, the early church rejected the idea that the Father, Son, and Spirit related to one another hierarchically and that there was an eternal subordination within the Trinity. With regret, we must warn that any view of the Trinity that posits an eternal subordination among the Persons of the Trinity, in spite of its best intentions, cannot do full justice to the evidence of Scripture, diminishes the magnitude and significance of the Incarnation, undercuts the unity of the Trinity, and tends to diminish the full deity of the Son and the Spirit. With the Athanasian Creed, we believe that confessing One Triune God in three coeternal, coequal Persons, each sharing eternally, equally, and fully in the honor, glory, worship, power, authority, and rank that belong alone to God, best represents the One true God revealed in Jesus Christ and in the Bible. We call on our fellow evangelicals, whether they wish to be known as egalitarians or complementarians, or no such label at all, to join us in this reaffirmation of trinitarianism that is at the core of historic Christian orthodoxy. STAN GUNDRY is Executive Vice President and Editor-in-Chief for the Zondervan Corporation. He has served as a pastor and taught Bible, theology, and church history at Moody Bible Institute and Trinity Evangelical Divinity School. 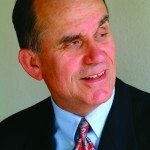 Stan served as president of the Evangelical Theological Society and on its executive committee as well as serving on the CBE Board, for a time as co-chair. Currently, he is also Adjunct Professor of Historical Theology at Grand Rapids Theological Seminary. He has published seven books and many articles.